John Noble was Artistic Director of the Stage Company of South Australia for ten years. He directed David Williamson's Sons of Cain on London's West End, and acted in an award winning production of Rob George's Errol Flynn's Great Big Adventure Book For Boys at the Edinburgh Festival in Scotland. Other highlights of John's stage career include producing over 70 new Australian plays, 240 performances of Ron Blair's one man play The Christian Brothers, and directing the enormously successful Percy and Rose by Rob George for the 1982 Adelaide Festival of Arts and subsequent National tour. In Australia, he had guest roles in many TV series and was a semi-regular for five years in All Saints as the crusty neuro-surgeon Dr. John Madsen. He appeared in the US tele-movies The Outsider, Superfire, and The Natalie Wood Story. In The Lord of the Rings trilogy Noble played the role of Denethor in Return of the King and The Two Towers. On US network television John appeared in 24, The Unit, and Journeyman. 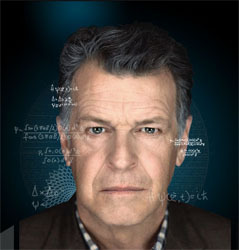 In 2008 he landed the role of Dr Walter Bishop on JJ Abrams cult favorite Fringe, and in 2011 won the inaugural Critics' Choice Television Award and the Saturn Award for Best Supporting Actor in a Drama. From there, John hosted the quirky science series Dark Matters for the Science Channel, recently guest-starred on CBS's The Good Wife, and joined another Fox hit show as a series regular in season two of Sleepy Hollow as Harry Parrish. He is an active voice artist. Recent voice projects include LA Noire, Superman: Unbound, Transformers Prime, and The Last Airbender. In 2015 Noble returned to the stage in the Off Broadway production of Doug Wright's Posterity.